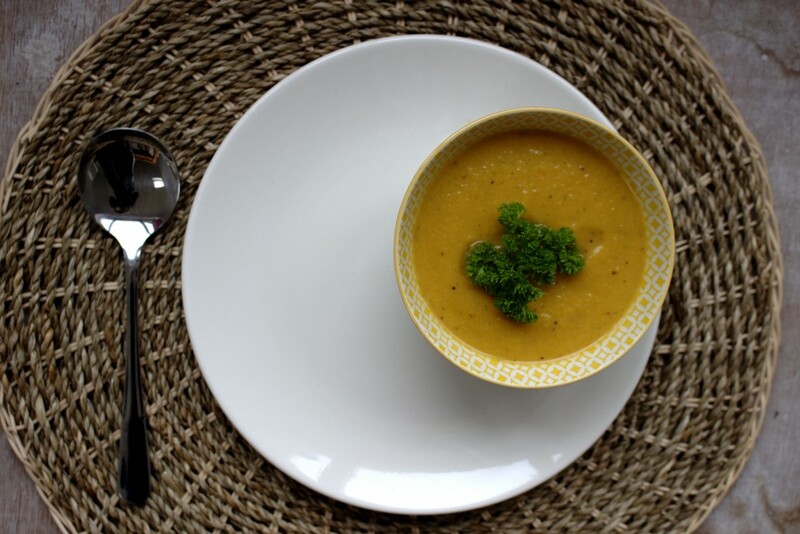 Crisp winter mornings and darker evenings mean soup season is definitely upon us! There is nothing quite like a rich, hearty soup to warm you up. I also love soups because it means I can get my daughter to eat a lot of vegetables at one time-always a good thing. When I started eating gluten and grain free, I struggled a little with soups. I used to put potatoes in all of my soups as they were a great thickener. Now, I’ve discovered that cauliflower can work much the same way and it’s made all the difference. This soup takes a little time but is so worth it. 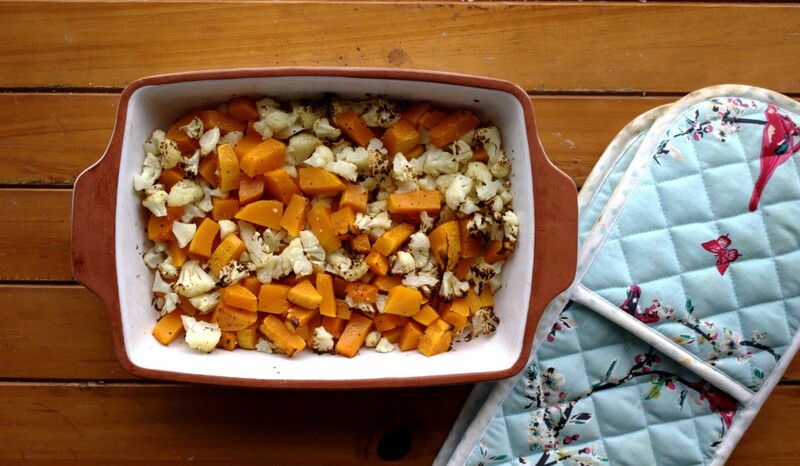 Roasting the vegetables gives a depth and richness which is noticeable in every mouthful. 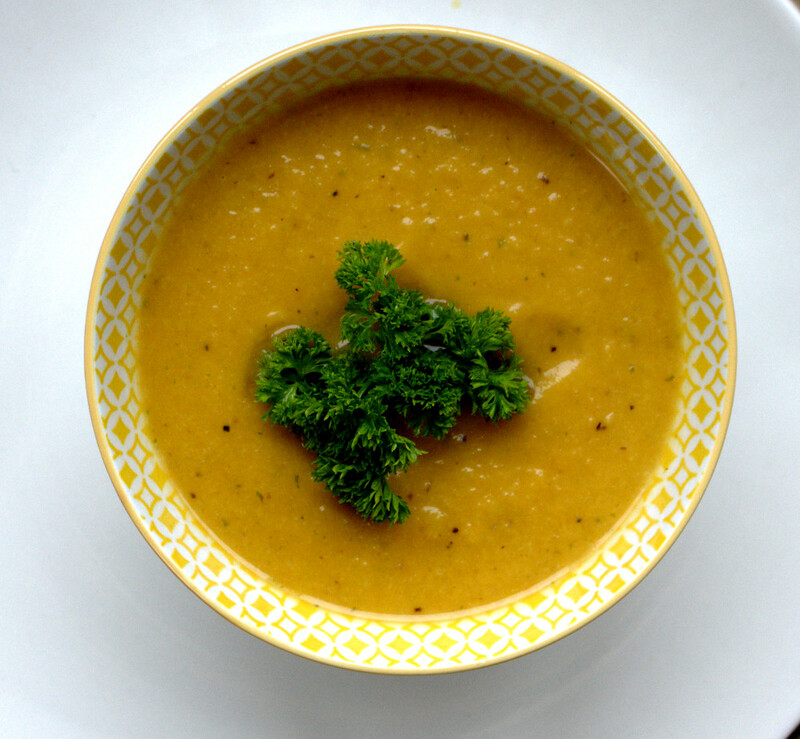 A deliciously rich and flavoursome soup, perfect for cold weather. Preheat the oven to 180°C Fan, 200°C Electric, 350°F or gas mark 4. 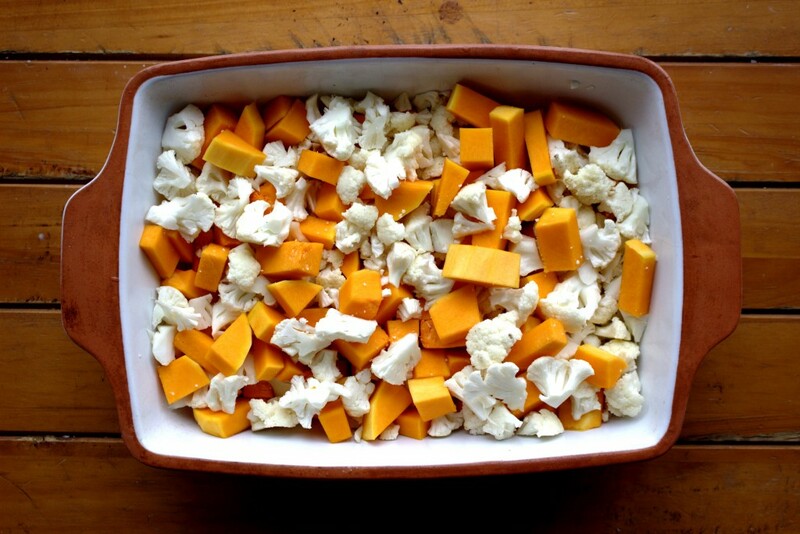 Place the chopped butternut squash and cauliflower in an oven proof dish and toss with 3 tablespoons of olive oil and season with sea salt and black pepper. 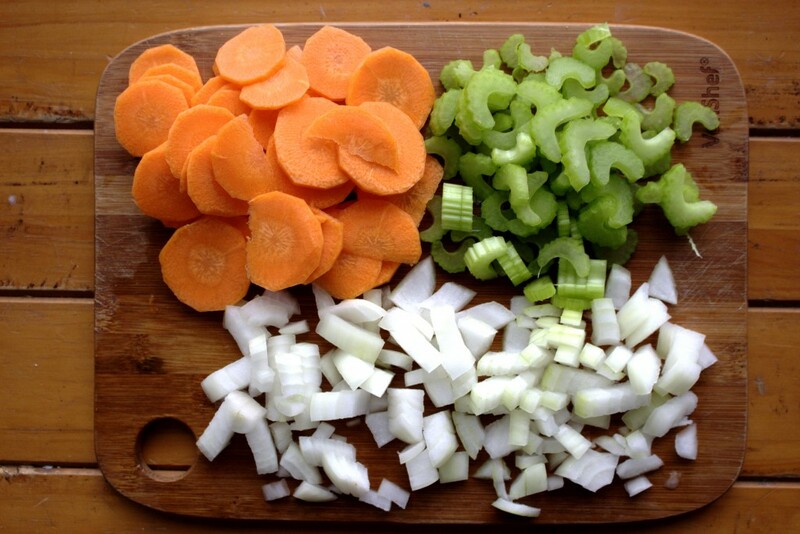 While the butternut squash is roasting, sauté the chopped celery, onion, carrot and minced garlic with the remaining 3 tablespoons of olive oil on a low heat. Stir frequently and cook until the vegetables are soft and translucent. Next, add the roasted vegetables and fresh parsley. Add 3 cups (750 ml) chicken stock first then add more if needed until you have just enough to cover the vegetables. Season with a little sea salt and black pepper. Bring the mixture to the boil, then turn down and simmer for 20 minutes. Blend the mixture in a blender until you achieve desired consistency. Enjoy!